We have been reading a book called SuperBikes. We found out that there are three men from New Zealand that built a really fast bike out of carbon fibre. 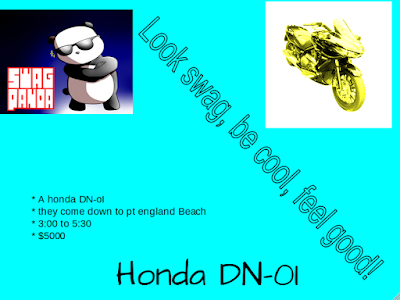 Here is an ad to sell a superbike that I found out about. So cool I like super bikes too. I love they way express yourself.